Should there be any further proof needed as to Marco Minnemann’s undoubtable skills as a musician then this latest solo album provides evidence in abundance. 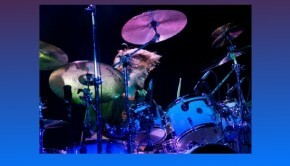 Now his skills as an innovative, world class drummer need no further comment and are well documented through his live and studio session work which include Steven Wilson, Mike Keneally and Joe Satriani to mention just a few. 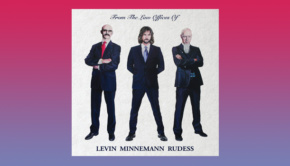 Along with his collaborative work on last year’s Levin Minnemann Ruddess album and current recording/touring band, The Aristocrats with Guthrie Govan and Bryan Bellar are formidable testaments to the man. 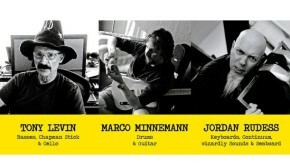 What Eeps demonstrates is Marco’s abilities as a composer and multi-instrumentalist. Now Eeps is not an easy ride and over the eighteen tracks it demonstrates a multi-faceted and creative musician, left pretty much to his own devices. Much as he has done across most of his solo career which began with the excellent The Green Mindbomb (1998), running through to the equally impressive Symbolic Fox (2012) and encompassing the truly bizarre Normalizer Part 2 (2010). OK, shall we just agree that the drumming will be and is awesome throughout and leave it at that? Well with the caveat that the drumming is not the primary goal here, more the thrust which supports and enhances the compositions on this release. Across the album we are treated to a rhythmic cornucopia of ideas that are often quirky, edgy and experimental, never tedious, sometimes dissonant and very often melodic. Marco’s natural exuberance and love of music shines through on all the tracks and even on the most challenging of pieces is engaging and absorbing. A final note here that Eeps is not entirely instrumental as Marco adds some catchy songs into the melting pot for good measure. As might be expected the album opens with something of a drumming master-class sparsely punctuated by keyboards, guitar and sound effects, whereas the introduction of vocals for the off-kilter, Zappaesque, Oc Dc mutates into a sort of gnarled up surfing safari, albeit in shark infested waters and about a million miles away from The Beach Boys. 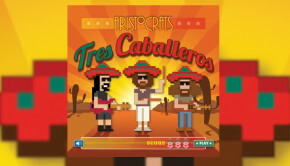 The title track concludes these brief opening statements with the drumming canvas finely illustrated with heavy and chorused guitar sections along with blEeps, sound effects and subtle keyboards. Despite its alluring title, very little gentle syncopated swaying would be possible to Soul Dance, however this is followed by the brief but catchy Obvious. I was tempted to say radio friendly here, but in true Marco fashion there’s just enough sour with the sweet. Right On Time And Out Of Tune is, as it suggests, a rhythmically precise piece that experiments with a dissonant array of top lines. Now up until this point the tracks have been short and in the form of mini statements, Sushi Cat Doll at just over eleven minutes devotes an entire chapter to an evolving progressive world. Starting with some sort of twisted mutation of King Crimson it glides through more Pink Floyd terrain before being rudely awakened with another twist in the tale. As journey continues we return to the more sublime keyboard backing and layered guitar. KC return leading us into the lengthy but truly absorbing middle section as Marco sets up a ‘relatively simple’ drum groove, supported by sparse keys, which he then twists and mutates as only he can. Very atmospheric and very enjoyable. Emerging from Sushi Cat Doll is the ear friendly, acoustically driven Sunshine, with a strong vocal melody and catchy hook-line for the chorus. This followed by the equally as infectious instrumental The Split, which could quite easily have accommodated a vocal line and proved to be another catchy song. This said it is a delight as it stands and the guitar work is stunning. Initially a more gritty track, Painter again demonstrates how engaging a well constructed instrumental can be. As mentioned earlier, Eeps is not an easy album to digest and certainly at just over an hour and a quarter there’s a great deal to absorb. Now this might have been easier if the album followed a trend or a pattern, but it doesn’t and as each track comes and goes it shifts from one unpredictable and challenging course to another. So one might expect Dead Ghost to reflect the earlier Live Ghost, but it doesn’t and is a somewhat heavier beast altogether. Another endearing quality of Marco Minnemann is his sense of humour, something apparent across much of this recording and neatly displayed in Douche. Lyrically constructed around a single word which is sampled and repeated. Sounds corny? Could have been, but it isn’t and probably helped here by the great drumming and infectious synth bass line that accompany it. From the ridiculous to the sublime for the engaging opening of Synthetic Swans. As with all that has gone on before there’s nothing predictable on Eeps and a minute and a half in, the metal guitar changes the mood. And this brings us to the final track from the album and the very atmospheric, floating, When I Was Gone. Well, it is for the first three minutes, before the synth bass pulses us into a proggy, pop infused, rock song and something I wouldn’t have found out of place on a RPWL album. The CD version contains three bonus tracks and there’s always a suspicion that these are lesser tracks added mainly to imply a greater value. Well a minute through 360 Degrees dispels this and a track that sits very comfortably with what has gone on before. Talking About LMR leaves us with one last quirky moment as Marco speaks, observationally, over some great music – no further comment required. The final cut on the album is the only collaborative track and features Lazy Bones Recordings’ studio producer and multi-instrumentalist Scott Schorr (Guitar, Bass & Keyboards). All I can say is it is as whacky and fascinating as anything else that has gone on before. 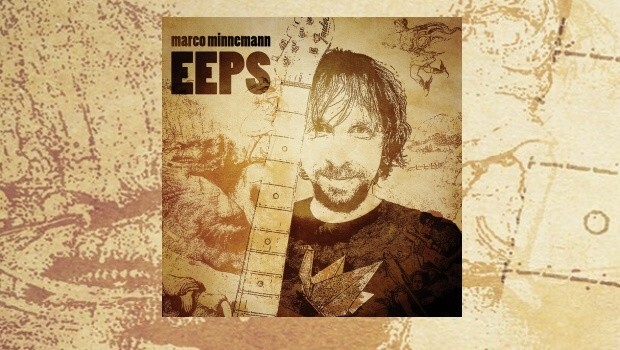 Eeps was recorded and engineered by Marco Minnemann and Scott Shorr and despite their different locales the production is cohesive and impressive throughout.